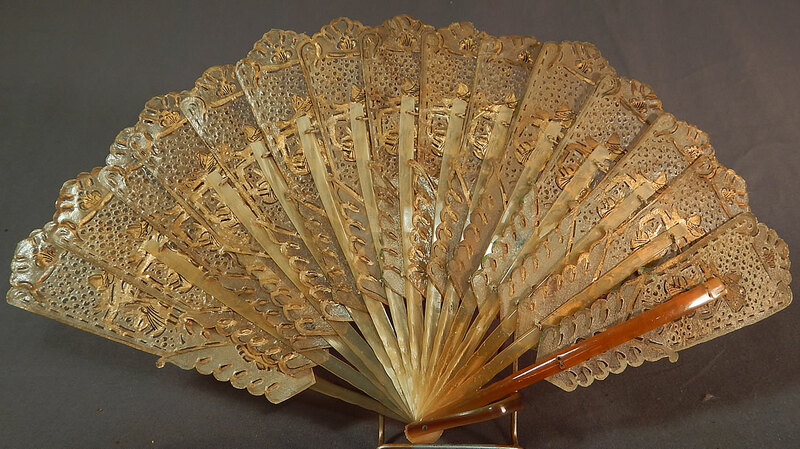 This antique Indonesia Java wayang kulit shadow puppet gold painted pierced folding fan date from the the late 19th century. 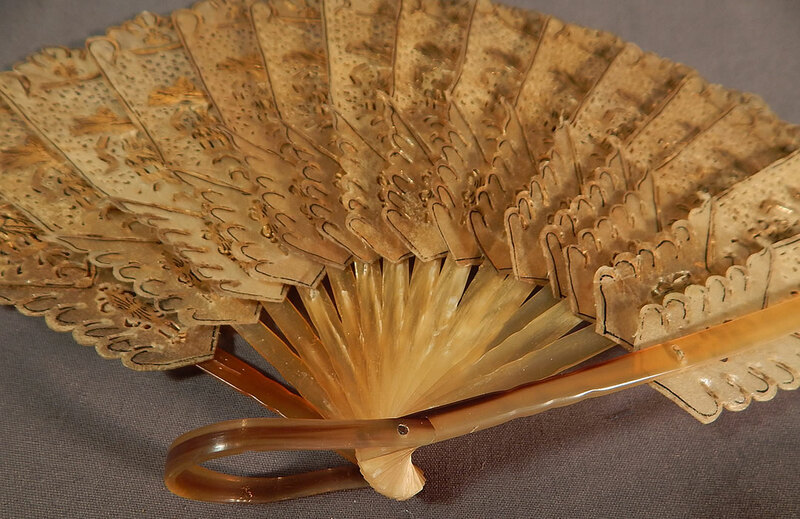 It is made of a translucent animal skin vellum, possibly water buffalo hide, which has been ornately hand pierced, painted gilded in gold with cut out figures of wayang kulit shadow puppets, scalloped trim edging and carved water buffalo horn sticks, guards with bottom ring holding it together. 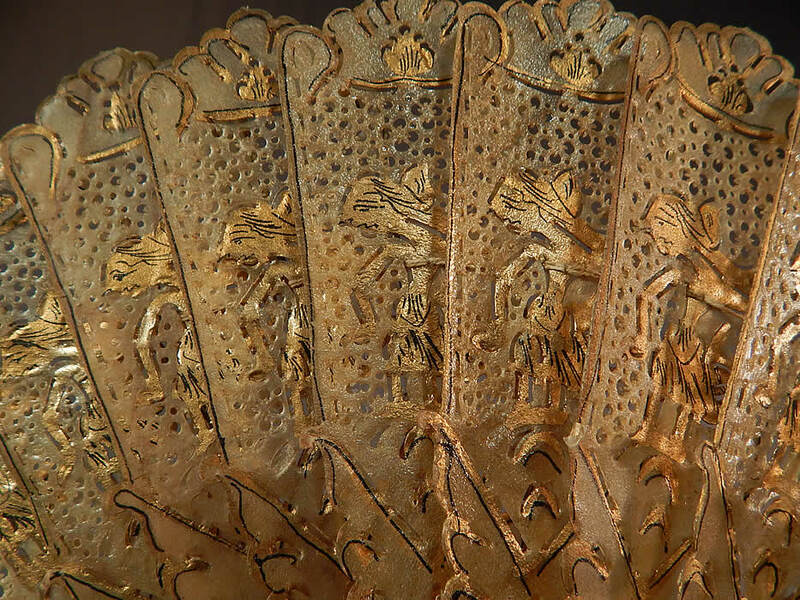 This fabulous folding fan hand fan is from Indonesia Java island representing the traditional wayang kulit, shadow puppets. The fan measures 8 inches long and 14 inches wide when opened. It is in excellent condition. 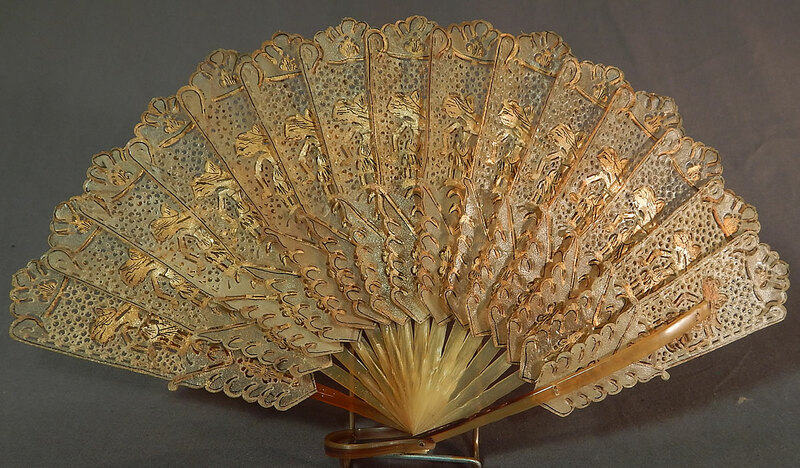 This is truly a wonderful piece of Javanese fan art!